What financial inclusion obstacle are we supporting low-income people to navigate? What financial capability are we attempting to enable or develop? What – gives you access to MFO’s select publications organized around the content of a financial education curriculum or training manual. You can also gain access to the full set of Global Financial Education Program materials here. It is widely recognized that services offered by banks, particularly savings accounts, are incredibly useful tools that allow one to accumulate savings, reducing one’s vulnerability. We at MFO believe that it is of great importance to attract these ‘unbanked’ persons to these services because in doing so, we can help provide them with the tools they need to break the cycle of poverty. 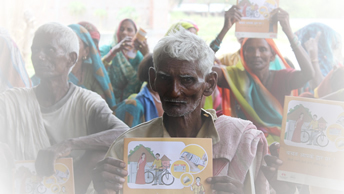 Vulnerability is the status of an individual/household where he/she is at risk of poverty, illness, etc.. MFO attempts to help low-income people reduce their vulnerability through money management strategies. Youth are boys and girls between 15 and 24 years old, although in some countries the age range stretches to 35 years old. They are in transition to adulthood and forming habits that may shape their behaviour as adults. As a result, financial education targeted at youth can have long-term benefits.